Nearly 200 TUC delegates attended a lively Latin America solidarity meeting on Monday to hear from speakers on Cuba, Venezuela, Colombia and Nicaragua and mark the 13th anniversary of the arrest of the Miami Five. Chairing the meeting, NUT General Secretary Christine Blower declared it was “probably the best supported fringe at conference”. 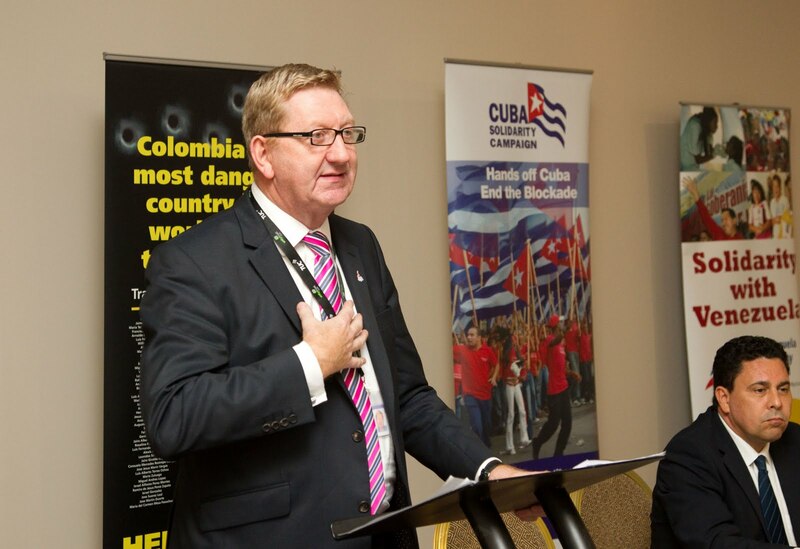 Len McCluskey, Unite General Secretary, started by paying tribute to the Cuban Che Guevara medical brigade in Nicaragua which – organised as a result of the ALBA agreement – has performed more than four million consultations since 2007. Len noted that “whilst the prospect for trade unionists in non-ALBA countries is bleak” Cuba is leading the way in providing “real and material benefits” to the dispossessed of Latin America. Len told delegates about a “remarkable trade union rally” in defence of the Miami Five in Los Angeles recently which was addressed by Tony Woodley. British trade unions continue to raise the issue of the Five with American unions and, with legal avenues exhausted, only this “spirit of internationalism will break through the wall of silence”. Cuban Ambassador, Esther Armenteros, lamented the lack of coverage in the mainstream media of the 13th anniversary of the Miami Five’s arrest. Esther told attendees that the Miami Five “remain unjustly imprisoned for combating terrorism against our country and have been subjected to all sorts of humiliations”. Esther reflected on a telephone conversation she had with Fernando González when she was working as a diplomat in South Africa. “After ten year in prison, Fernando’s voice was of such strength and conviction that, if I ever feel weak, I think of him”. The British trade union movement knows that it will take the same strength and conviction to bring justice to the Five. This, as Esther observed, will only be achieved by building international solidarity and taking the fight to the US. Esther also drew attention to a recent Save the Children report which placed Cuba top in Latin America and 8th in the world for paediatrics and children’s medical care. The study was based on three fundamental variables: the number of doctors and nurses per thousand inhabitants, the coverage of the vaccination system and the proportion of women who gave birth with an obstetrician present. Cuba finished ahead of Germany, Russia, France, the UK and America. “How is this possible when we have been subjected to 50 years of economic blockade?” asked Esther. “The US has been stopping Cuba from buying drugs to help sick children – despite this, Cuba has come way ahead of the US”. Venezuelan Ambassador, Samuel Moncada, hailed the trade union movement as the “most progressive section of British society”. Samuel reflected on the huge social strides made in Venezuela under Hugo Chavez declaring “excluding Cuba, we have the least unequal society in Latin America… and we are striving for the best public services after Cuba too”. Before delegates mingled over Havana Club cocktails, Christine Blower thanked everyone for attending and Thompsons Solicitors for sponsoring the meeting. “Hope and change clearly is possible,” affirmed Christine as she urged everyone to get involved with CSC’s campaign to mark the 50th anniversary of the blockade which will be launched next month. The mothers of the Five will join the annual Cuba Solidarity Campaign vigil for the Miami Five outside the US Embassy on 1st December and will be speaking at Latin America Conference 2011 on 3rd December. In Spring 2012, a prestigious exhibition featuring Cuban and British artists will include work by Gerardo and Antonio. For more information on these events and the Miami Five, please click here. The following article was written by Tony Woodley, former Unite General Secretary, for the Morning Star. 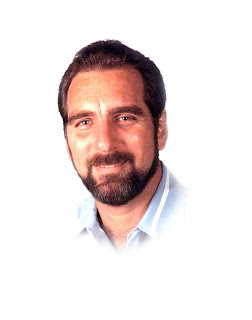 The international media has been full of stories marking the anniversary of the September 11 terrorist attacks against the US this week, but you would need to search hard to find mention of the anniversary of the arrest of five Cuban counter-terrorists in Miami 13 years ago today or the fact that two of their wives have been denied visitation rights for 12 years. On September 12 1998 the FBI arrested Gerardo Hernandez, Ramon Labanino, Antonio Guerrero, Fernando Gonzalez and Rene Gonzalez who were trying to stop right-wing groups carrying out terrorist attacks against the Cuban people. Regular readers of this paper will know these names and the story of the Miami Five. They travelled to Miami to infiltrate and monitor violent right-wing groups opposed to the Cuban government and responsible for the deaths of almost 3,500 Cubans over the last 50 years. At the request of the US government they passed their findings to the FBI in 1998 but instead of arresting the terrorists the information was used to identify and arrest the five. Held in solitary confinement, denied proper access to legal teams and tried in a hostile atmosphere which made it impossible to receive a fair trial, they received unprecedentedly harsh sentences ranging from 15 years to double life. The arrest, trial and sentencing of the Miami Five has enraged legal opinion, NGOs and human rights campaigners from the United Nations Working Group on Arbitrary Detention to Amnesty International. On top of this their wives and families are denied regular family visitation rights. Furthermore, recent evidence revealed that the US government directly funded Miami-based journalists to the tune of $125,000 to broadcast prejudicial articles before and during the trial. Although the Miami Five enjoy a great deal of support within the British union and international solidarity movement, due to a virtual media boycott their case is almost unknown within the US trade union movement. Last month I was honoured to be involved in a historic meeting to help break this silence when I travelled to Los Angeles to visit one of the five, Gerardo Hernandez, who is serving two life sentences in Victorville Penitentiary. On August 13, 200 workers, union leaders and activists came together at the invitation of the Service Employees International Union (SEIU) in Los Angeles - the first time since the five's incarceration that a US union has organised a public meeting to inform their members and ask them to join the fight for justice. 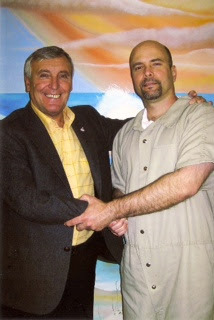 It was great to be able to report this meeting to Gerardo the following day when I visited him at his maximum security prison in Victorville. Despite 13 years held in this truly inhumane place, the man's spirit - like that of all the five and their families - is inspirational. Gerardo is well aware of the work of the British trade union movement and solidarity campaign for his cause, and sends his gratitude to everyone who fights for justice for the five. He also knows that despite waiting on the outcome of a final legal appeal, ultimately his freedom and that of his four comrades lies in the hands of the US government. This is why I have been working closely with US unions to lobby key stakeholders in the Obama administration. Aside from the meeting in Los Angeles, British unions working together with the Cuba Solidarity Campaign have made notable breakthroughs in this case over the years, such as ours being the first country in the world to win MPs and unions to the cause. Earlier this year WikiLeaks released cables that show our own PM raised the case with Hillary Clinton as a direct result of union pressure. Amnesty International is now supporting the case because family members were given the possibility to explain the injustice to Amnesty face-to-face during numerous visits to Britain since 2005 at the invitation of CSC and British unions. But increasing international solidarity is vital, and as the president of the Cuban parliament Ricardo Alarcon says: "The struggle must be multiplied until the US government is forced to put an end to this monstrous injustice and restore freedom to Gerardo, Ramon, Antonio, Fernando and Rene." Supporters of the five do not want to have to mark the September 12 arrest anniversary every year. We would rather be celebrating the anniversary of their freedom. Everyone can play a role in achieving this, whether as individuals or within our unions and the solidarity movement, and there are many upcoming opportunities to do so. The mothers of the five will be at Unite sectoral conferences in November, joining the annual Cuba Solidarity vigil outside the US embassy on December 1 and at the Latin America 2011 conference on December 3. In Spring 2012 a prestigious exhibition featuring Cuban and British artists will include work by Gerardo and Antonio, and later next year all four Miami Five wives will visit Liverpool for a major public meeting. On this day 13 years ago, Gerardo Hernández, Ramón Labañino, Antonio Guerrero, Fernando González and René González were arrested by the FBI in Miami while trying to stop right-wing groups carrying out terrorist attacks against the Cuban people. The five counter-terrorists – commonly known as the Miami Five – remain unfairly incarcerated within the US; their wives and family members are denied family visitation rights and they are often held in solitary confinement. For over 50 years, right-wing exile groups within Miami have targeted Cuba killing nearly 3,500 people in terrorist attacks against the island. This has been done with the complicit support of the US government and the CIA. To saves lives, Cuba sent five men to infiltrate and monitor these violent dissident groups. At the request of the American government, this information was passed to the FBI in 1998 but – instead of arresting the terrorists – the Bureau used the information to identify and arrest the Miami Five on 12 September 1998. The Miami Five were sentenced to a total of 75 years imprisonment and remain interned within the US. Compare this to the terrorist and former CIA-operative Luis Posada Carriles who – although responsible for the blowing up of a Cuban airliner in 1973 which killed 73 people – remains at liberty in America. The arrest, trial and sentencing of the Miami Five has enraged legal opinion, NGOs and human rights campaigners from the United Nations Working Group on Arbitrary Detention to Amnesty International. In October 2010, Amnesty International released a report condemning the trial of the Miami Five and calling for a review of the case. Central to their criticism was the “underlying concern related to the fairness of holding the trial in Miami, given the pervasive hostility to the Cuban government in that area and media and other events before and during the trial . . . there was evidence to suggest that these factors made it impossible to ensure a wholly impartial jury”. Amnesty raised serious concerns about the circumstances of the pre-trial detention of the five men which involved sporadic solitary confinement and limited access to attorneys and evidence. As the UN Working Group on Arbitrary Detention declared in May 2005, this “undermined the equal balance between the prosecution and the defence”. Amnesty’s report followed a three-judge panel of the US Court of Appeals which, in August 2005, unanimously overturned the convictions of the Miami Five on the ground that “pervasive community prejudice in Miami against the Castro government merged with other factors to prejudice their right to a fair trial”. The decision was promptly quashed by the US government. 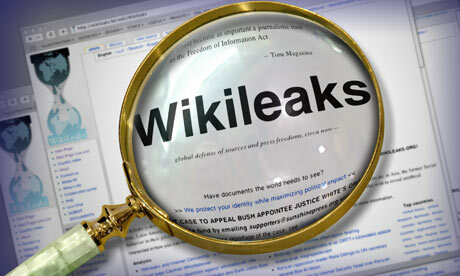 Furthermore, recent evidence obtained through the US Freedom of Information Act demonstrates that the American government directly funded Miami-based journalists to write and broadcast prejudicial articles and commentary before and during the trial. Despite overwhelming evidence, the Supreme Court has consistently refused to consider appeals on these grounds – even though similar cases have been granted a retrial. Legal avenues in defence of the Miami Five have virtually been exhausted and only humanitarian intervention from President Barack Obama or the Secretary of State Hillary Clinton can give justice to the five and their families. Public pressure to break the silence around this case is vital. UK-based NGO the Cuba Solidarity Campaign and the British trade union movement have been crucial in building the broadest possible alliance in support of family visitation rights and, ultimately, the release of the Miami Five. Any potential solution lies with the American government and the British movement in support of the Miami Five has been working closely with US unions – including the United Service Workers, the United Steel Workers and the Teamsters – to lobby key stakeholders in the Obama administration. In a recent meeting in support of the Miami Five in Los Angeles, former Unite the Union General Secretary Tony Woodley declared, “the Miami Five enjoy a great deal of support on the international level, but that is not the case inside the United States. Solidarity is absolutely crucial in this case and the political struggle will be decisive for the return of the Miami Five to Cuba”. America’s duplicity with regard the Miami Five is laid bare by Cuba’s ongoing inclusion on the US State Department terror blacklist alongside Iran, Sudan and Syria. As the Cuban Foreign Ministry said recently, the US government “has absolutely no moral right to judge Cuba, which has an unblemished history in the fight against terrorism and has been consistently the victim of this scourge”. This allegation is vindicated by the grotesque treatment of the Miami Five and the inexplicable harbouring of Posada Carriles. The Cuban Foreign Ministry accused the US of the “political manipulation” of the sensitive issue of terrorism and, similarly, the handling of the Miami Five must be seen as distinctly political. The unjust treatment of the Miami Five typifies US foreign policy towards Cuba and – when contrasted to the United States’ promotion and funding of dissident groups in Cuba – highlights American hypocrisy. The freedom of the Miami Five will only be secured through collective political action across the broadest possible campaign. Until their release, the campaign will continue. The expansion of the private sector in Cuba, contained in the island’s new legislation proposed by the National Assembly in September 2010 was finally ratified by the Assembly on 1 August this year. However, in September, this proposed measure was greeted as a fait accompli with an outburst of joy and relief by the UK mainstream press. “End of the road for communist Cuba? ONE MILLION jobs could go private in the most radical reforms since 1959 revolution,” declared James White in the Daily Mail (15 Sept. 2010). “Thanks Fidel, but you’re 50 years too late,” gloated James Delingpole in the Telegraph, adding “It’s nice, obviously, that the cigar-smoking beardie has finally had the grace to acknowledge the error of his ways. But shouldn’t he have worked this out 50 years earlier, and spared the poor Cuban people a heap of communist misery?” And not much more was said about the matter. However, in its haste to tell the British public once more that socialism (or, in their words, ‘communism’) in Cuba was at the “end of the road”, the western media, as is so often the case, omitted to mention how these proposals would progress along the road to becoming actual legislation. Neither had it mentioned that they had only acquired their initial form after a major input by the Cuban trade unions. At the time, only about 30% of them had been ratified before the remaining 70% were presented to the country for consideration and amendment prior to their ratification. If the media had possessed the inclination to discover more about the subject, they would have had a very different story to report. Mario Terán, a retired noncom notorious for having executed the legendary guerrilla fighter Ernesto Che Guevara on Oct. 9, 1967, at a little school in La Higuera in Bolivia, lived in the deepest anonymity in Santa Cruz. Steeped in indigence, he lived on his miserly pension as a former soldier and had lost his sight to cataracts that he had been unable to cure, for lack of resources. In 2004, Cuban President Fidel Castro launched a broad humanitarian campaign throughout the continent, named Operation Miracle. 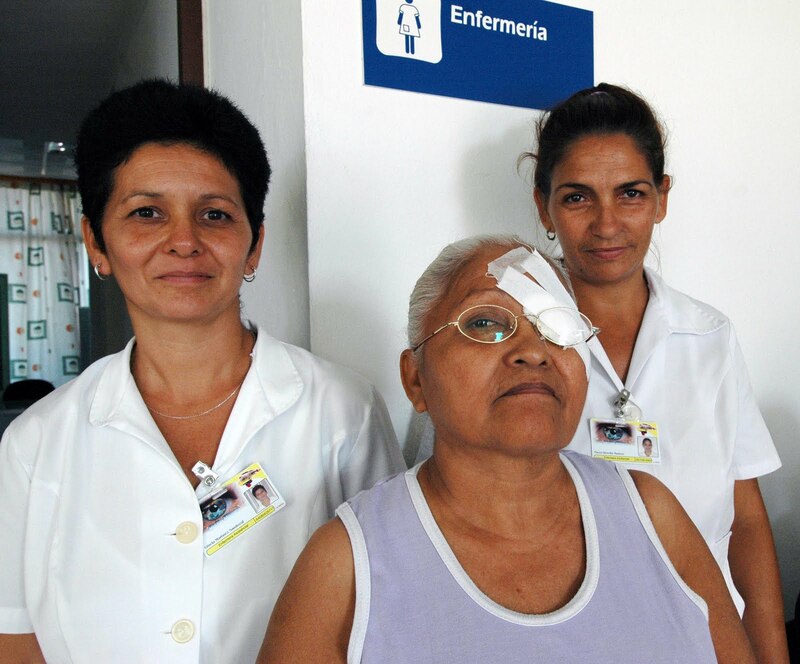 Supported by Venezuela, it consists in operating – at no personal cost – on those low-income Latin Americans who suffer from cataracts and other eye diseases. In 30 months, about 600,000 people from 28 countries, including U.S. citizens, recovered their eyesight thanks to the altruism of the Cuban doctors. The avowed objective is to operate 6 million people by 2016. 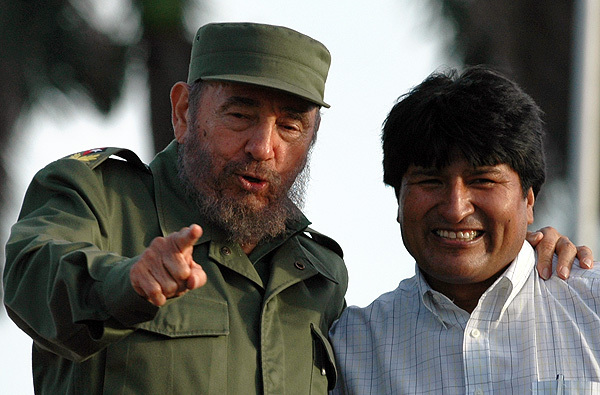 The election of Evo Morales as President of the Republic of Bolivia in December 2005 and his willingness to establish social policies that will improve the wellbeing of some of the poorest people in the continent have allowed Bolivians to gain access to the humanitarian program launched by Cuba. About 110,000 Bolivians have regained their eyesight without paying a single penny. Among them is Mario Terán, who was rid of his serious illness by the Cuban doctors. Pablo Ortiz, a Bolivian journalist who works for the newspaper El Deber of Santa Cruz, told the story: "Terán had cataract problems and was cured in Operation Miracle by Cuban doctors at absolutely no cost." Then he gave more details: "The fellow is a perfect unknown. Nobody knows who he is. He is destitute and when he appeared at the hospital hosting Operation Miracle nobody recognized him; he was then operated. The story came from his own son, who came to the newspaper to express his gratitude in public... It happened last August ." Sometimes, history keeps some surprises in reserve. 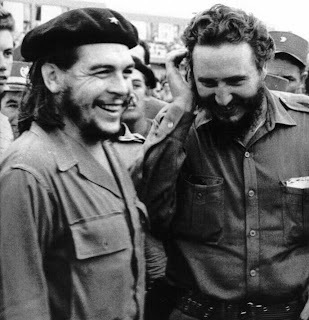 Thus, the murderer of Che was cured by doctors sent by Fidel Castro, the most faithful and intimate companion of "the heroic guerrilla." Terán owes his eyesight to the emissaries of health that follow the internationalist example of the man he killed. According to the former CIA agent Félix Rodríguez, who participated in Che's capture, Terán volunteered to execute the rebel leader. Earlier, he had murdered in cold blood all the other prisoners. But his valor failed when he faced Che. "When I entered the classroom, Che was seated on a bench. When he saw me, he said: 'You've come to kill me.' I felt inhibited and lowered my head without answering. "I didn't dare to shoot. At that moment, I saw a big Che, very big, enormous. His eyes shone with intensity. I felt that he was overwhelming me and when he looked at me fixedly I felt woozy. I thought that, if he moved quickly, Che could take away my weapon. "I took a step backward, toward the door, closed my eyes and fired the first burst... I regained my composure and fired the second burst, which struck him in an arm, a shoulder and the heart. He was already dead." Che, despite the execrable media campaign designed to stain the image of one of the greatest revolutionaries of the 20th Century, remains "big, very big, enormous" and continues to shine "with intensity" thanks to the sacrifice of tens of thousands of Cuban doctors who, from the anonymity of their heroic action everywhere, continue to believe that another, less cruel world is possible. 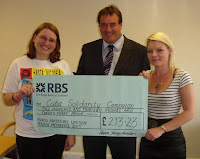 This week we launched our new Cuba Solidarity Campaign trade union newsletter Trade Unions for Cuba. 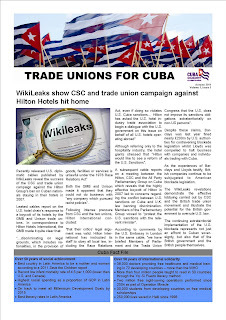 Union affiliates and individual CSC members will be accustomed to receiving their quarterly copy of CubaSí magazine, but the new bulletin will concentrate on trade union news and campaigning actions. Trade Unions for Cuba will be published electronically approximately every three months and will satisfy the hunger for topical Cuba news between issues of CubaSí. The newsletter aims to celebrate collaboration between CSC, British trade unions and trade unions in Cuba. It will bring up-to-date news on trade unionism in Cuba, report on CSC work with unions domestically, mobilise campaigns and promote events, brigades and tours. It also includes a report on CSC’s presence at trade union conferences this year and features a story of three young activists – Vikki Garratty, Lisa Scott and Geri Cowell – who took part in CSC’s May Day Brigade this year. According to Vikki, the Brigade was “one of the best experiences of my life” and the newsletter applauds the work the three campaigners have done supporting solidarity with Cuba and fundraising for CSC since their return. A big thanks to all those who contributed at Unison’s Young Members’ Weekend in Cardiff! The core objective of the newsletter, however, is to enhance understanding of Cuba, promote campaigning work and increase union affiliations to the Cuba Solidarity Campaign. The report on the visit of Tony Woodley – former Unite General Secretary – to a Miami 5 meeting in Los Angeles demonstrates that the British trade union movement has been crucial in the campaign to free the Miami 5 by securing the support of American unions such as the United Service Workers, the United Steel Workers and the Teamsters. It is only through union support that this was possible and it is therefore imperative to build on the already fantastic relationship which CSC enjoys with the trade union movement. If your union branch or region isn’t already affiliated to the Campaign, we hope you will consider joining online or by emailing Dan Smith. Affiliation costs just £40 for a branch and £50 for a region. A hi-res version of the newsletter can be viewed here. Please feel free to forward to colleagues or print-off and distribute around notice boards and offices. If you would like to receive future copies, please email CSC Campaigns Officer Dan Smith. René González spent his 55th birthday on 13 August in a Florida prison. He and four colleagues, known in the UK as the ‘Miami Five’ and in the US as the ‘Cuban Five’, have been in prison since 1998. René is the least unlucky of the five, because his sentence of 15 years was the lightest. However, when I met his mother recently, she was worried that the Miami courts had a further punishment in mind: to send him out on ‘probation’ to one of the areas on the City’s west side where Cuban exiles are concentrated, and where he might very well be shot. That the Five should be in prison at all is the product of a bizarre sequence of events in which justice has been turned on its head. While the anti-Castro politics of many Miami Cubans are well known, there is less knowledge of the terrorist acts they have attempted, the worst and most ‘successful’ of which was the bombing of a Cuban airliner in 1976 that killed 78 people. Frustrated at the unwillingness of the American authorities to prevent these crimes, in the 1990s the Castro government recruited five agents to infiltrate the worst of the Miami-based cells such as ‘Brothers to the Rescue’. They succeeded, and the Cuban government held meetings with the FBI in Havana in June 1998 to present the evidence of planned attacks that the agents had collected. Instead of acting on the evidence, however, in September 1998 the FBI arrested the Five for conspiring to commit espionage and ‘related offences’ against the US. After being held for 17 months in solitary confinement, their seven-month trial was held (against their petitions) in the hostile atmosphere of Miami itself. They were sentenced to lengthy periods in prison including – in the case of Gerardo Hernandez – two life sentences. The Five have exhausted the appeals process, which in 2005 briefly resulted in the verdicts against them being overturned by a panel of three judges, before that decision was itself reversed following a government appeal. Some of the sentences were reduced, but Gerardo’s was confirmed. His life sentences result from the accusation, never properly proved, that he was engaged in helping the Cuban air force shoot down aircraft in international waters. This relates to an incident in 1996, when two Brothers to the Rescue planes were shot down, having ignored warnings from the Cubans and from the Federal Aviation Administration. Whether they were in international waters or in Cuban airspace is still disputed, but the history of prior attacks by members of Brothers to the Rescue is not. In the 1960s, their leader José Basulto, who escaped in the third plane, had begun his terrorist career by firing a 20mm cannon at a beachside hotel in the Cuban resort of Miramar, from a vessel offshore. Instead of contesting the evidence that he was linked to these incidents, Gerardo’s court-appointed attorney at the original trial attempted to justify the retaliation by the Cuban air force, which of course was a line of argument highly unlikely to be treated with any sympathy by a Miami jury. Gerardo is now trying to obtain an annulment of the verdict through a writ of habeas corpus. Reading his case gives further insight into how perverted the seven-month trial was. In contrast to the treatment of the Cuban Five, one of the most notorious of the Cuban exiles, Luis Posada Carriles, who escaped from prison in Venezuela where he had been sentenced for his role in the 1976 Cuban airliner bombing, and has since admitted his involvement in a series of attacks against Cuba, has been living freely in the United States. Now 83, this year he not only evaded prison for immigration offences but in June, as a ‘true patriot’, was granted the freedom of the City of Hialeah in Florida. This presumably recognises his 37-year career, much of it in the pay of the CIA, during which he organised supply flights to the Contras in Nicaragua in the 1980s and the bombing of Havana hotels in 1997. For much of the time the Cuban Five do not even have the freedom to receive prison visits from family members. René’s wife, Olga, has been refused a visa to visit the US. The hope is that Gerardo’s application, which is also based on the discovery in 2006 that reporters covering the trial were in the pay of the US government, will result in his conviction being overturned and a new review of the other cases. Of course, as everyone on either side of the case is aware, it is only because the Five are Cuban agents that they have been imprisoned at all. After all, when eleven ‘deep cover’ Russian agents were arrested in New York last year, including the glamorous Anna Chapman, they were simply sent back to Russia. Bolivian President Evo Morales has highlighted the example of Cuba during a meeting in honour of the more than 600,000 eye surgeries carried out as part of Operation Miracle. He underlined the unconditional nature of this help, the exponents of which are Cuban internationalist physicians offering their services in the Andean nation. This made it possible for these humble persons of scant economic resources to recover their sight, the Granma newspaper reported. Morales explained that this mission also favored that in addition to almost 500,000 Bolivians, citizens from neighboring countries like Argentina, Brazil, Peru and Paraguay were also seen at eye centers located in bordering areas. The head of state acknowledged the self-denial of the Cuban physicians who, far from their homeland and families, work in Bolivia to help the needy, without any economic or political interest. The Bolivian president pointed out that more and more peoples and governments in the region follow the anti-capitalist and anti-imperialist course of the Cuban Revolution and its leader Fidel Castro, the architect – he recalled – of Operation Miracle. According to the blog of Cuban National Television special correspondent Yosvany Noguet, the meeting was held at the Eye Center of the province of Santa Cruz de la Sierra, in the southeastern part of the country, which has 10 surgical posts corresponding to the six eye centers of the Cuban Medical Brigade. Minister of the Cuban Revolutionary Armed Forces and Vice President of the Cuban Councils of State and Ministers General Julio Casas Regueiro passed away in Havana on Saturday. A note released by the Communist Party of Cuba's Politburo stated that General C Casas Regueiro died from a heart attack at 1:20 p.m. Saturday. Julio Casas Regueiro was born in Bombi, Mayari Arriba, province of Santiago de Cuba, on February 16, 1936. He graduated from the Professional School of Business of Santiago de Cuba and began his revolutionary activities following the March 10, 1952 coup d'état. In June 1957, he gave up his position as an accountant at the bank of Santiago de Cuba due to persecution by the tyranny and returned to his parents' farm where he contacted members of the 26 of July Movement and worked with the movement on several activities, becoming one of the first rebel combatants in the area. When the Frank País Second Eastern Front was formed in March 1958, he joined it under Commander Raul Castro and took part in several combats, including the capture of the city of Guantanamo on January 1, 1959. After the triumph of the Cuban Revolution, Casas Regueiro assumed several responsibilities in the Cuban National Police, and as part of that body he fought against the Playa Giron (Bay of Pigs) mercenary invasion. From 1961 on, he occupied different posts in the logistics services of the Revolutionary Armed Forces (FAR) and was promoted to vice minister in 1969. He was also Chief of the Eastern Army, Chief of the Anti-Air Forces and the Air Force, and First Vice Minister of the FAR. He was appointed Minister of the FAR in February 2008. When Cuba established international help with Ethiopia en 1978, Julio Casas Regueiro was named the Substitute Chief of the Military Mission in Ethiopia. He took courses at several military schools including the USSR Voroshilov General Staff Academy. Julio Casas Regueiro was also a founder of Cuba´s Communist Party and a member of its Central Committee since the First Congress of the organization. During the Fourth Party Congress he was elected member of the Political Bureau, a condition ratified by the Fifth and Sixth Congresses of the Communist Party. From 1981 he served as a member of the National Assembly, a member of the State Council since 1986, and in 2088 he was elected Vice President of the Council of State. He received several titles and decorations including the Honorific Title of Hero of the Republic of Cuba and the Playa Giron Order. Army Corp General Julio Casas Regueiro was known for his loyalty to the homeland, the people, the Revolution and to his Commander in Chief and Army General Raul Castro. Thanks to his high level of rationality, efficiency and dedication, he made significant contributions to the strengthening of the nation's defence as well as to improving business efficiency in the FAR and the drafting and subsequent implementation of the Guidelines for Economic and Social Policy of the Party and Revolution, adopted by the Sixth Congress. Following his wishes, the mortal remains of Julio Casas Regueiro were cremated and taken to the Mausoleum of the Frank Pais Second Eastern Front, where they will be paid the corresponding military honors. 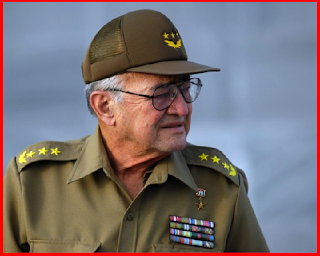 Cuban President Raul Castro on Monday led a tribute to late Army General Julio Casas Regueiro. During the funeral, held on the first floor of the Sierra Maestra building, headquarters of the Defense Ministry, it was announced that the Council of State had conferred on Casas Regueiro the postmortem title of Hero of Labor of the Republic of Cuba. The honor was granted for the late general's record of exceptional record of service to the Revolution and its defense, and to the national economy, with exemplary discipline, rationality and proved efficiency in the fulfilment of relevant political, state, government and military duties and missions. Cuban Communist Party leaders and members of the councils of State and Ministers participated in the event. One of the many wreaths sent in tribute to Casas Regueiro was from the leader of the Cuban Revolution, Fidel Castro. Recently released U.S diplomatic cables published by Wikileaks reveal the success of the Cuba Solidarity Campaign and British trade union campaign against the Hilton Group’s ban on Cuban nationals staying in their hotels in 2007. Both the GMB and Unison made it apparent that they could not do business with “any company which pursued racist policies”. Although referring only to the hospitality industry, the hotel giants stressed that “Hilton would like to see a reform of the US Sanctions”. A subsequent cable reports on a meeting between the Hilton, CSC and the All Party Parliamentary Group on Cuba which reveals that the highly effective boycott of Hilton in 2007 led to concerns regarding the conflict between US sanctions on Cuba and UK law banning discrimination. Members of the Parliamentary Group vowed to “protest the US sanctions with the relevant minister”. The cables demonstrate the effective lobbying carried out by CSC and the British trade union movement and illustrate the potential for the British government to overrule U.S law. The extraterritorial implementation of the U.S blockade represents not just an affront to Cuban sovereignty, but also that of the British government. According to comments by the U.S Embassy in London in the same cable, “we have briefed Members of Parliament and the Trade Union Congress that the US does not impose its sanctions obligations extraterritorially on non-US persons”. However, as the experience of Barclays and Lloyds testify, British companies continue to be subjugated to American blockade legislation. The Ernesto Che Guevara medical brigade working in Nicaragua since 2007 has offered more than four million consultations as part of a collaboration program between Cuba and Nicaragua. Dr. Alfredo Rodriguez, head of the group, told Latin American news agency Prensa Latina that the Cuban doctors, at the request of the ruling Sandinista National Liberation Front (FSLN), will continue offering their help to low-income people in far-off areas. The Cuban specialists are working in the poorest areas of Nicaragua including Siuna, Bonanza, Puerto Cabeza, Waslala, Mulukuku, Laguna de Perlas, Bluefields and Kukrahill. They are also providing their services in the Lenin Fonseca Institution, in Managua and in the hospitals of Muelle de los Bueyes (Autonomous Region of the Southern Atlantic) and Waspan (Autonomous Region of the Northern Atlantic). Rodriguez told Prensa Latina that their work does not simply involve consultations in health care centres, but includes home visits to local families. Out of 172 Cuban specialists, 43 are participating in the Operation Miracle program which offers people with blindness or poor eyesight free surgery. Over two million people across Latin America have had corrective eye surgery through Operation Miracle. Cuba also helps Nicaragua by providing medical training to more than 300 youngsters in under and postgraduate programs at the Latin American Medical School based in Havana. For the FSLN, the Cuban help contributes to meeting the government's objective of restoring the Nicaraguan peoples' rights that were neglected during 16 years of neo-liberalism. Recent fines imposed by the US government's Office for Foreign Assets Control (OFAC) against global financial services firm JP Morgan Chase for processing financial transactions with Cuba show that the Obama administration is still focused on punishing trade with Cuba. According to the US Treasury Department, JP Morgan Chase processed 1,711 wire transfers valued at $178.5m between 12 December 2005 and 31 March 2006 involving Cuban nationals. As a result of the illegitimate transactions, JP Morgan Chase was fined $111m for violating the control regulations and the company has agreed to pay $88m in settlements to the US Treasury Department. The fine imposed on JP Morgan Chase is the fourth largest by Washington since the George W. Bush administration when controls relating to the economic blockade of Cuba were tightened.